Rare Breed Wool and Conservation. Rare Breed Animal Conservation is a hot topic throughout the world. Where UK conservation is concerned, the Rare Breed Survival Trust is a key player in encouraging smallholders and breeders to join conservation projects to protect our native breeds from extinction. 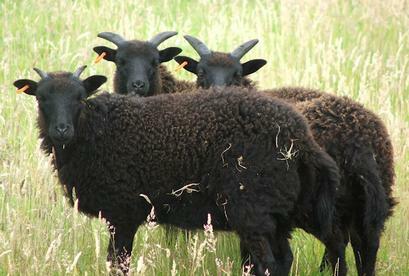 At Millfields Rare Breeds in Essex, we started breeding Hebridean Sheep when they were a vulnerable Rare Breed under the watchful eye of the RBST. They have since become a real success story with a significant increase in numbers over the last few years. We were thrilled to have been a part of that success. Individually, our contribution was tiny, but as part of a nationwide team of smallholders and breeders, we made a huge difference. Having already planned to introduce another rare breed to our smallholding and wanting another “fix” of that same sense of achievement, we started looking at other breeds which needed help. Being members of the RBST, this was our first point of call and we discovered the plight of the Boreray breed of sheep, which were listed as Critically Endangered. There was no competition. We contacted a breeder through the RBST stock exchange and bought a small flock of registered ewe lambs and a ram lamb. We then discovered that we were the first ever breeders of Boreray Sheep in Essex, which added to our excitement, but also made us realise what a responsibility we had taken on. After lots of research into the breed and their conservation, we discovered that our main task was not only running a live animal breeding programme, but also to create a local commercial market. The development of practical commercial uses for rare breeds, to make them attractive to potential users, is one of the most effective methods of conserving them. The Boreray present a real challenge in this respect as they are far from being an easily, lucrative commercial breed. They are very small and the lambs take far longer to mature than more common breeds. A lot of commitment, care and a touch of lunacy are required to make the most of their commercial potential. The extra work, however, is ultimately rewarding on many levels. The taste and quality of the lamb is exceptional and is revered by chefs and high class butchers nationwide. Locally reared, well cared for, rare breed meat is also becoming very fashionable, which will also provide a vital boost to the conservation of many rare breeds. Sheepskins are another important commodity where breeders can recover some of the cost of keeping rare breeds. The Boreray’s other area of commercial distinction is their wool. They produce a beautifully creamy white fleece of exceptionally soft but hardwearing wool. Both Boreray and Hebridean sheep are self shearing breeds but we shear our flocks as soon as the hot weather arrives for several reasons; shearing enables us to collect complete fleeces rather than picking up bits of wool from all corners of their paddocks. More importantly, shearing is vital for the sheep’s welfare. 2011 has been a notably bad year for Flystrike, a particularly nasty affliction caused by certain flies laying their eggs in the sheep’s fleeces. The eggs then hatch and the resulting maggots can literally eat a sheep alive. By removing the fleece early and treating with a defensive spray, the problem can be prevented. It’s also far more comfortable for the sheep and at lambing time, a sheared ewe can share more of her body heat with her lambs when they cuddle up at night. Rare breed wool is becoming very popular with hand spinners and a niche market is fast developing. This year, we have sent fleeces to spinners in the UK, America and Finland! Rare breed wool products such as clothing and soft furnishings are also generating a lot of interest from consumers. Not just for reasons of uniqueness and exclusiveness but also because more and more people are keen to support the conservation and protection of our native breeds. We also sent fleeces to a number of local spinners in return for a percentage of the yarn produced this year and plan to make a variety of wool products, which will be sold through our website: www.rarebreedsessex.co.uk. Our ultimate dream and goal is to spin our own wool and therefore get involved in every single stage of production from lambing to knitting. I can think of no other career, which offers as much fun, variety, learning opportunities and rewards! Without a viable market, rare breeds become living museum pieces facing a bleak future. Conservation breeders can be heavily rewarded for the effort and initiatives being applied in creating new and inspired markets for rare breeds. The ultimate reward being the knowledge and pride in having protected some very special and beautiful animals. That and the overwhelming feeling you get when you know you’ve given them with a happy, stress-free and productive life. Boreray Sheep Conservation is vital in the overall conservation of Farm Animal genetic Resources (FAnGR). As one of the 150 signatories for the Convention on Biological Diversity at Rio de Janeiro in 1992, the UK has an international obligation to look after its FAnGR. The convention was ratified by most of its signatories, which include the UK and its provisions are legally binding. Therefore participants are obliged to implement provisions, which include the conservation of FAnGR. Our Boreray are fully registered pedigree Boreray Sheep and this breed is the UK’s rarest sheep breed, categorised as Critcally Endangered by the RBST as there are less than 300 adult breeding females. 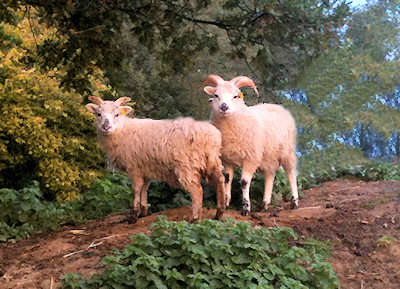 In the present climate of change in agriculture, farmers and smallholders are encouraged to keep native British Breeds of livestock such as the Boreray in order to ensure their survival. In a breed so rare as The Boreray (critically endangered), every animal counts, and the loss of just a few animals to the breeding population can mean a significant loss of genetic diversity. Within the Boreray population there are only 15 bloodlines remaining and within the genetic make-up of our small flock, 8 of the rarest bloodlines are represented and so are of great genetic importance. Due to the genetic importance of the Boreray as a sheep breed and of these individual animals, it is vital that every effort is made to ensure they remain healthy and secure. Any loss from this flock due to dog-worrying (which is a significant problem for rare breed sheep farmers) or theft could potentially harm the breed and planned breeding projects.